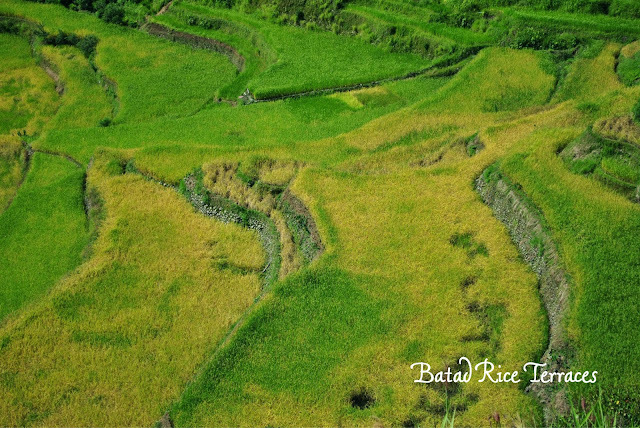 Batad Rice Terraces are part of the Rice Terraces of the Philippine Cordilleras inscribed as UNESCO World Heritage Sites. These 2,000 year-old impressive terraces carved into the mountains of Ifugao are priceless contributions of our ancestors to the world. Each year, it welcomes local and foreign travelers who are eager to get a piece of the quiet mountain life. 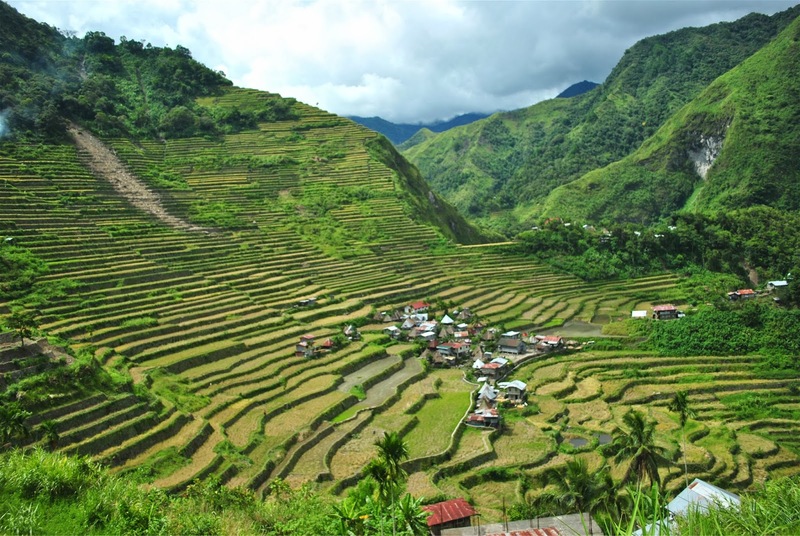 Although there are threats posed by nature (landslides) and modernity (structures and houses built near the terraces and the new generation choosing to find greener pastures in the lowland instead of cultivating the rice fields), Batad (a GMO-free site), as I saw it, still stands proud of its incredible heritage. It was truly a humbling experience to be in the same spot where our ancestors once stood to carve this masterful and cultural treasure. It's not everyday that I get to sleep in an authentic Ifugao hut and wake up to the awesome view of dramatic contoured mountains and verdant rice terraces. The picture-perfect background, mist-covered rice fields basking in the morning sunlight, and the sight of the local people going about their early routines made the waking up part very special. It was a tough call for me to get there since we had to hike for hours under the biting midday sun, but the experience was every bit rewarding. Batad roads are less traveled, but definitely worth-taking. Taking into consideration the preserved culture and traditions, breathtaking sites, and the unforgettable trek on the rice paddies, Batad Rice Terraces rank high among my favorite spots in the Philippines. 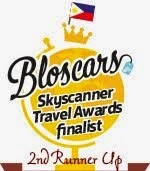 Follow my Batad stories here.